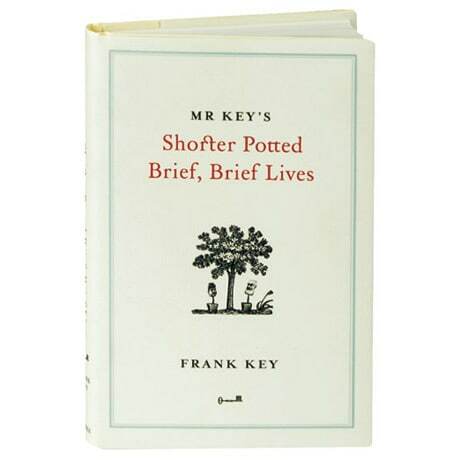 Having considered writing an update of John Aubrey's Brief Lives, Frank Key concluded that some books are unimproveable, and instead opted to collect a single, unadorned fact about each of his subjects, creating a cornucopia of little nuggets for readers to deploy at the kinds of sophisticated cocktail parties to which they are no doubt invited. Also the author of Befuddled by Cormorants and the legendary proprietor of the surreal humor website HootingYard.org, Key tells us here that Cecil B. DeMille refused to touch used currency, V.S. Naipaul hates the word "Scandinavian," and Margaret Thatcher inspired a great debate about her walk, variously compared to a partridge (Matthew Paris of London's Times) and a hen (Jon Snow, Channel 4 News).